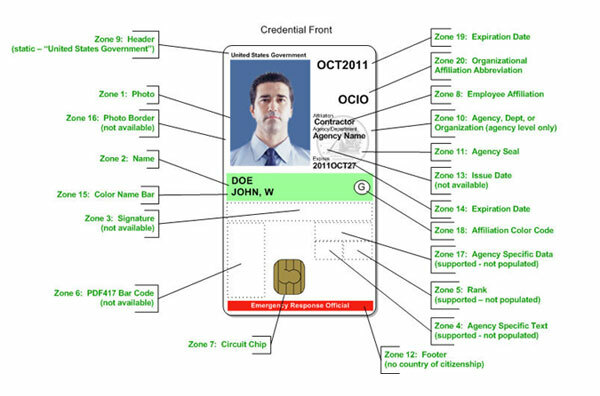 In order to provide a standard, easily recognized government-wide credential, all USAccess generated credentials feature common visual elements that are printed in the same location on each credential. 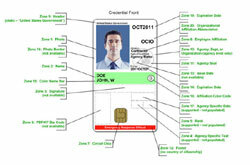 These common elements are placed according to NIST guidelines, and are printed in the same location on the credential, regardless of the issuing agency. An agency seal - It should be in color and of high quality (.JPG image, 20x20 mm, minimum 300 dpi recommended.) 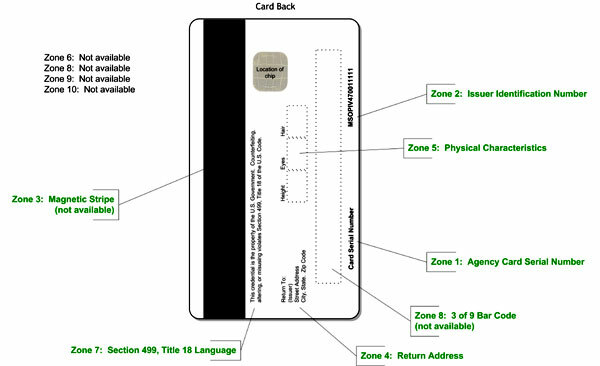 The seal will be placed on the front of the credential (see Zone 11 on sample credential image.) For more information, review the FIPS PUB 201-2 for more details at http://nvlpubs.nist.gov/nistpubs/FIPS/NIST.FIPS.201-2.pdf. Agency return address - A return address is necessary to put on the back of the credential so that it may be dropped into a mail box and returned to the issuing agency should the credential be lost. 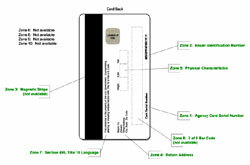 Cardholder Unique Identifier (CHUID) including organization affiliation, agency affiliation, department affiliation, and expiration date.